All agencies have expedited their probe against Jammu Kashmir Liberation Front. While the Enforcement Directorate (ED) is probing a money laundering angle, National Investigation Agency (NIA) is probing the terror angle, and the income tax department is probing tax evasion angle. New Delhi: All investigating agencies have sped up investigations against the banned organisation Jammu Kashmir Liberation Front (JKLF). While the Enforcement Directorate (ED) is probing a money laundering angle, National Investigation Agency (NIA) is probing the terror angle, and the income tax department is probing tax evasion angle. The Indian government on Friday took a major step against terrorism by banning JKLF. According to the investigation in the case of Syed Ali Shah Geelani, which was initiated by ED based on the report received from the income tax department, major lapses have been found. According to sources, Hurriyat leaders were getting money from Pakistan without following the law of the land. Leaders of banned organisation JKLF laundered money through hawala and poured it into anti-national activities. They also used the money to support terrorism in Jammu and Kashmir, sources claimed. ED is probing the 17-year-old case given by the income tax department. The department had recovered and seized US$ 10,000/- and Rs. 10 Lakhs from the ground floor of the residence of Hurriyat Leader Syed Ali Shah Geelani at Hyderpora, Srinagar on 09 June 2002. The officials examined Jawahira, wife of Geelani, after the search. She gave few explanations about the seized INR but could not explain the foreign currency. "Also, Sh. Syed Ali Shah Geelani did not tender any explanation/evidence regarding the lawful acquisition, holding, ownership or possession of said seized cash US$ 10,000/- and Rs. 10 Lakhs except for the verbal denial submitted by him during the investigation. On the basis of an investigation under FEMA, 1999, a complaint dated 06.06.2017," ED said. "Accordingly, a Show Cause Notice was issued to Sh. Syed Ali Shah Geelani in which he was accused of the charge contained in the said Show Cause Notice. The Enforcement Directorate has now adjudicated this case on 20.03.2019. By way of adjudication order, a penalty of Rs. 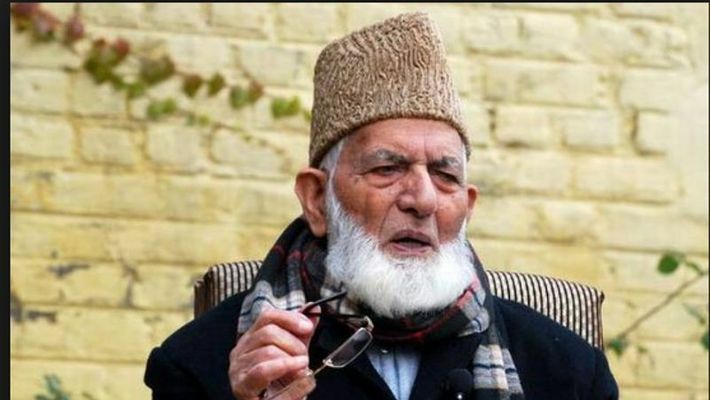 14,40,000/- (Rupees Fourteen Lakhs Forty Thousand only) has been imposed on Syed Ali Shah Geelani, and the US $ 10,000/-, which was acquired illegally by him and was recovered by income tax department during the search mentioned above from the residential premises of Geelani have also been ordered to be confiscated," ED added. NIA which is probing the role of Hurriyat leaders, following the investigation and allegations, has stripped security cover from all leaders. JKLF leader Yasin Malik's house has already been raided along with other leaders during the probe of Pulwama attack. NIA has already arrested half a dozen JKLF leaders in connection with various terror cases. According to the sources, a charge sheet will soon be filed.